A cloud-based taxi software admin panel for total control over all the assets for real-time fleet tracking, intelligent dispatch and more to manage all aspects of your taxi business. A report section where Admin can view various reports like Total Earning Report, Payment Report, User wallet Report, Referral Report, Drive Log and Payment Report etc. An admin can manage the dispatcher who can handle booking requests. It can assign the roles to dispatchers and operators. The dispatcher can manage the drivers’ tasks accordingly. Admin is responsible for managing the passengers registered on the system. Admin can add/view/modify/remove the passenger details anytime. Admin is responsible for managing the drivers registered on the system. Admin is able to add/modify /delete drivers anytime. It can accept or reject a driver’s account. Only admin approved driver accounts can get online. We provide the best-in-class Taxi dispatch system to transform the way taxi businesses manage today’s on-demand, mobile-first world. Your team can securely access the admin console through a two-factor verification. The admin dashboard is highly customizable for a high-level functional overview. Admin can allocate and control granular access levels to different users of the taxi software admin panel. 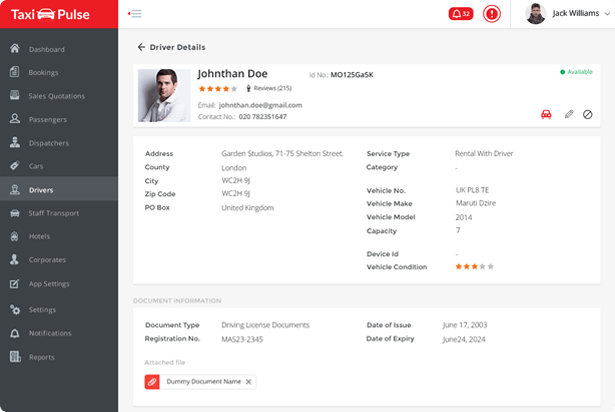 Admin can add and manage the entire driver network, their payments, feedback and more. 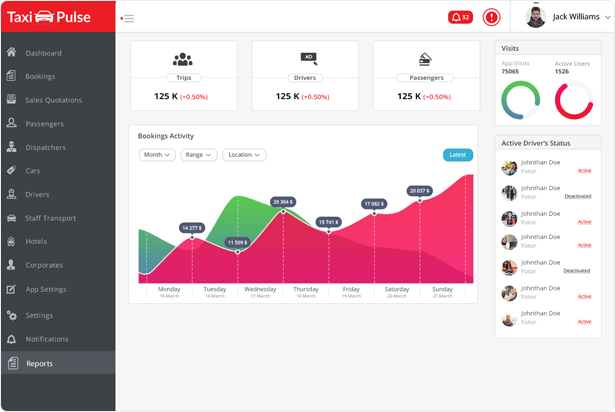 Admin can manage the user-base of the app, their queries, booking data, feedback and more. Admin can add and manage dispatchers and operators to handle booking requests. 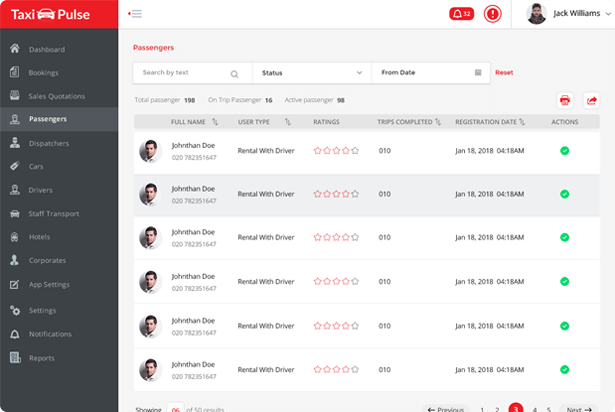 An advanced algorithm to assign automated trip bookings to the drivers. Admin can manually handle booking requests by the dispatch team. Admin can define and manage all the ride options they want to offer through the app. Option to configure the fare calculation settings, surge pricing, bill generation, etc., for the taxi booking. Admin can keep a watch on the entire network with real-time status on a map. Easy management of accounts, payment modes, payment gateways, commissions and more. Configuration of notification channels ( SMS, push, and email), message content and logic. Admin can set up and run promo codes, discount offers and track their performance. Admin can define their area of operations from an easy to use interface with maps support. 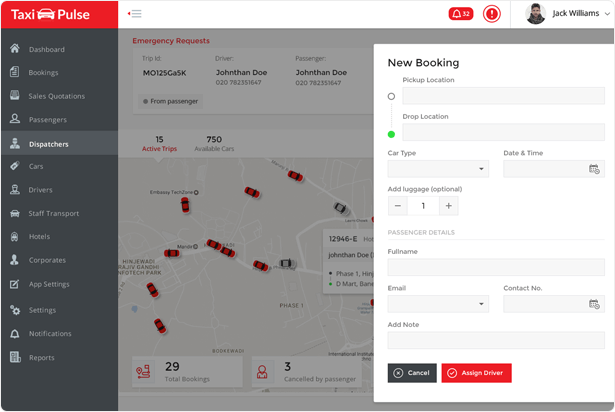 Option to launch a progressive web app as an added booking channel for the passengers. Option to meet regulatory requirements for physical meters in certain cities. Admin can make their app content available in Register Transfer Level languages for the related audience. 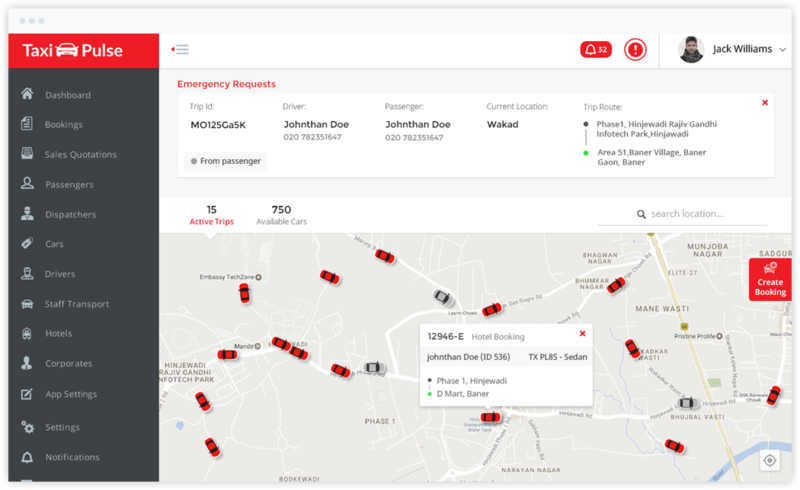 Create an Uber-like taxi booking app designed to work across multiple cities and regions.